WOW. It’s ugly out there, folks! The headline rate of 8.2 stayed the same but that is just about the end of the “good” news. We, again, point out the deplorable conditions under which an unchanged rate over 8% could be in any way spun as “good.” This is getting quite absurd and tragically predictable. Anti-business policy, oppressive banking regulation, validation of cataclysmic tax increases, immigration policy by fiat and an election who’s outcome is ridiculously unpredictable in spite of these economic conditions will continue to force consumers and businesses alike to do the same thing with their cash …keep it on the sidelines. The rate is unchanged but that, as per usual, is very misleading. 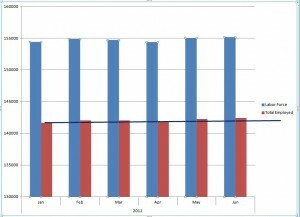 The number of jobs added outpaced the change in labor force size which, as the graph shows, keeps the rate the same even though the labor market continues to deteriorate. 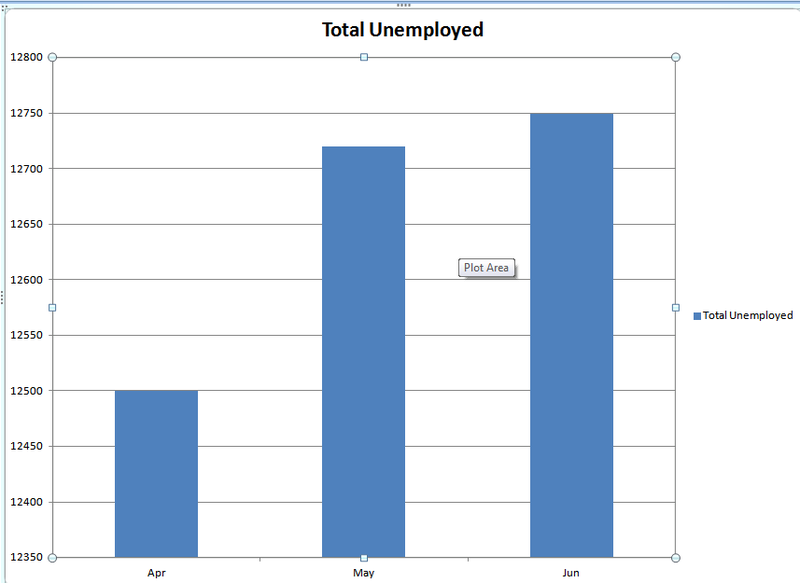 In fact, the actual number of unemployed people has been on the rise for the last three months! The unemployment rate for those 25 years and older with a Bachelor’s degree or higher rose .2% back over 4 to 4.1%. That is a terrible sign. In addition the number of those at work part time for economic reasons including slack work and slow business conditions jumped. This is a big reason the “experts” scratch their heads when the BLS report fails to validate the ADP report. Hey “experts”, they count differently. This has been explained at length in previous posts that you can find by searching the archives. 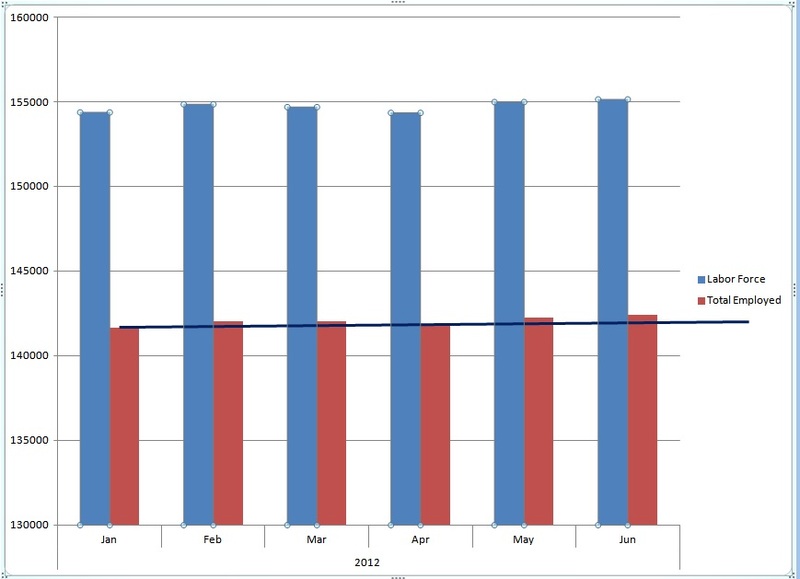 There is continuing “flat” news in the areas of hours worked and overtime which tells us that activity is low. Add to that the continued uninspiring wage increases which continue in many cases to lag inflation in spite of inflation crashing down. A great many “experts” will have the nerve to be surprised by the disappointing GDP report they should be able to predict. A very deep dive into the data exposes an unsettling trend. Production and non-supervisory employees in construction are showing a downward trend in weekly earnings. The recent de facto amnesty is likely to have a grave impact on that statistic going forward. Policy matters and these don’t work…depending, of course, on your goals.